The visa application can be made either in or outside of Australia. This type of occupational training is for people who are required to undertake workplace-based training to obtain registration, membership or licensing – in Australia or their home country – to work in their occupation. This type of occupational training is for people with recent and suitable experience in the nominated occupation, who are seeking to undertake a structured workplace-based training program in relation to an occupation specified in the list of eligible skilled occupations. • Professional development: enables overseas employers to send their managerial or professional employees to Australia to undertake a tailored professional development program of face-to-face teaching in a classroom (or similar environment). The application process comprises three stages: sponsorship, nomination and visa application. The requirement is that the applicant genuinely intends to stay in Australia for the for the purpose of undertaking the occupational training specified in the application. • There is a continuing need for occupational training. 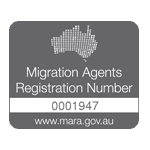 The holder of a 407 visa must not engage in work in Australia other than in relation to their course of study or training.